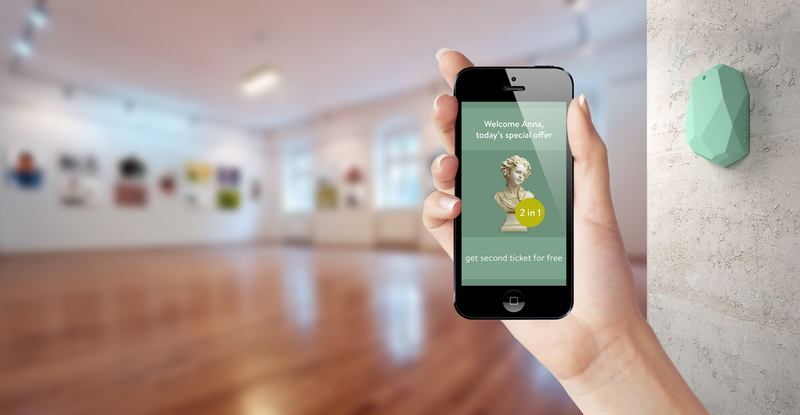 By now I’m sure you’ve heard something about beacons and how they’re being used across a variety of industries from fashion and retail, to concert venues and other attractions. Marketers are beginning to leverage this new technology in a variety of ways to add value to their mobile app and appeal to customers, as well as to gain insight for themselves about demographics and user behavior. With this technology being still fairly new, only two or three years old, early adopters are learning just how valuable this can be. While there is a lot of excitement around beacons, some groups remain skeptical. Is this just a fad? Aren’t they just QR codes? Here at Speak, we’ve been able to work with some of our clients to implement beacon technology, and as far as we can tell, beacons are so much more. First and foremost, beacons don’t require anything of the user other than having the mobile app downloaded on their device and their bluetooth turned on. With QR codes, you were forced to have a scanner on your phone and actually take the step of scanning the code. Let’s be honest...we are pretty lazy and not likely to do that. For that reason, QR codes quickly lost appeal to the average user. However, with beacons, which broadcast a bluetooth signal, a user can simply walk within range of the beacon and be provided with a message relevant to their location. Furthermore, no longer are marketers limited to sending random push notifications to everyone who has the app downloaded, but instead can send the notification to specific users like a coupon or special content, as they are in a specific location, like in your parking lot or near an exhibit. Additionally, QR codes didn’t really provide any type of information back to the organization about its use with the exception of maybe how many times it was scanned. With beacons, businesses open themselves up to a whole new set of data to help understand more about their customers. From information about new visitors versus repeat visitors, to how long they linger around certain beacons, to engagement rates with certain campaigns, beacons offer up a wealth of useful information. From there, businesses are able to tailor their messaging or even their layout to cater to the tendencies and preferences of their visitors. Overall, this helps businesses provide the experience their customers are expecting. As we’ve said before, beacons don’t have to completely replace your marketing initiative but they can be a great addition to it. In business, we always look for the “win/win” and beacons are a great way to accomplish this. Not only are you offering your customers a better experiencing and providing value to them, but you’re also learning about the “who-what-when-where-why” of your audience. As their tendencies change, so should your messaging and campaigns. Integrating a beacon into your mobile app can help with that. To talk with me or any of our other beacon specialists to discuss how we can bring this exciting technology to your business, fill out our online form or give us a call. Don’t have a mobile app yet? No worries, we can help with that, too.